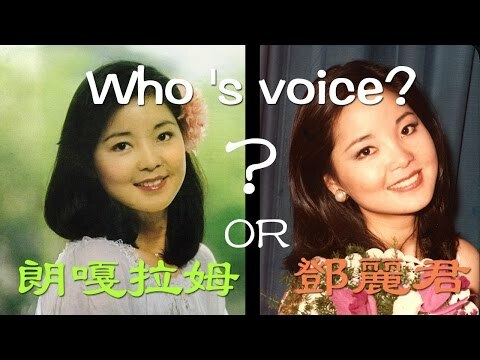 Here is the case where a 16 years old girl from Thailand that has the similar voice and look from the queen of pop of asia Teresa Tang ( https://en.wikipedia.org/wiki/Teresa_Teng ) during the 70s and 80s that had passed away 20 years ago. She passed away in Thailand and her reincarnation is also from Thailand. The girl from Thailand named Vanatsaya Viseskul (LanggaLamu), not knowing any Mandarin, started to sing Teng’s songs when she was seven. She told the judges at the “Voice of China” that she could sing after listening Teng’s songs only two to three times. She learned 25 Teng’s songs in one disc just in three months. In one of her interviews, she said she had a special feeling toward Teng whom she never met when she first listened to her song. When LangaLamu was seven, her parents visited Hongkong and brougt back Teresa Teng's CD. She listen and said that those are her songs, and she had sung before. After listen to a song three times and can sing the song even she did not know any Chinese (mandarin) at that time. She told her parents. However, nobody believed her at that time. She did not learn to speak Mandarin until this year to join the "Voice of China" tv show. Her singing and talking sounds exactly like the Teresa Tang. 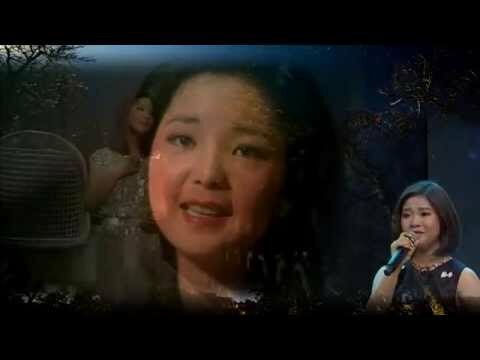 There are many singers that have similar voice as Teresa Tang, but in this case is a special one. Even Teresa Tang's former song writer/teacher took this girl in as his last disciple when he learned about this girl from Thailand. One of the singers, that has the closet voice as Teresa Teng's, had goosebump when she listen LanggaLamu sings. Below is the youtube link video mixed the voice of the two together to see if one can tell how much the differences. Believe in reincarnation or not ! Is there any difference in between reincarnation and rebirth? Yes. Rebirth is a continuous process going on as you read this. Reincarnation is a special event that is supposed to only happen after you die. According to Tibetan Buddhism, yes. His Holiness the Dalai Lama is a reincarnation of his predecessor. He was found as a 2-year-old, recognised as being the 'successor' of the XIII Dalai lama and initiated as a Tulku, until at 16, he was inaugurated as the Dalai Lama (well ahead of schedule, but the Chinese invasion made this a matter of urgency). A Tulku retains much of the inherent character of the child he is born to be, but also displays an uncanny (Tibetans would say natural) likeness to his predecessor. Rebirth is for hoi poloi. No-one special, nothing to do, nowhere to go, but ...ooops.... try again! Well if you check out the article, the young girl claims a special affinity toward the former pop star, and was able to absorb/learn her songs incredibly quickly, in the course of a few times or a whole album in 3 months. So, to me that says more than "hey she looks and sounds the same"
Also means that she was probably incredibly aware during the transition process, and that is something very very commendable. There are many people who looks same and contemporary to each other. Sir Alec Guinness had the same talent, visually, as does James Spader. @sova ...well, actually, the burden of proof/convincing does fall on the person making the claim. Why else, make the claim? Keep your truth, unless total confirmation is what one is looking for. My personal belief is rebirth....I'm not convinced of reincarnation. If someone starts spontaneously speaking and singing Mandarin as a child without ever using it before ... there's got to be something deeper there. I just wish people would read the articles that are discussed with an open mind instead. Since I don't follow this line of thinking...I'm asking a sincere question here in the intention of seeking/understanding. Let's be general. If she in the OP or the average person does feel/think they are reincarnated...then what? What is the theory/belief behind it? Does it improve your practice? Was the previous person so great that they have to live on forever? If so, how does that fit into non-self? I can research it as far as all outdoors...but someone explain the purpose to me. Is it cultural rollover? If it's necessary....why? How and in what ways does it fit into getting rid of suffering? I'll respect all traditions/views on it...but hey, I didn't bring it up....so...hahaha...be ready for not everyone to agree...just help me understand where your coming from...from a Buddhist POV, please. It's funny how many of these stories of reincarnation seem to be from someone famous. Like a pop star or a incredible person like Anne Frank or a WW2 legendary soldier/pilot. It's easier to recall details from a famous person I guess. @Sova she didn't start speaking Mandarin. She could parrot the songs after listening to them. It shows a nice talent but it's not evidence for anything supernatural. I learned "Ave Maria" in choir but never understood what the words meant. But I'm not trying to convince you reincarnation doesn't exist. Only explaining why this isn't evidence. @Vastmind I feel on the whole people are comforted by stories of heaven, purelands and believing they used to be an elephant. There were news in India about kids belonged from very ordinary village that they knew all the names of their parents and wife and described how they died. And actually told everything about their looks and home surrounding and name of the village and started to live with their parents of past life with permission. Those kids have never been had contact with outside world when they explained thier present day biological parents. And there are some real stories in which some people claimed that they are reincarnation of royal family members and also won the trust of family by telling the past. But they could not get the property because court said that they are not biological member of that family and some other stories were fabricated to get properry from rich. I know, there are fascinating stories of children that seem to confirm reincarnation that come out of places where belief in reincarnation is the cultural norm. Just like there are fascinating stories about near death experiences and tours of Heaven that come out of Christian cultures. The fact that these tales exist is an area of study for sociologists, but not because they actually prove the reality of the beliefs. It's because of what it says about how the human mind molds perception to fit existing beliefs. In other words, belief comes before evidence. Our minds are quick to latch onto what our senses send our way and fit it into what we expect. If you believe an old house is haunted by ghosts, you will find all sorts of things going on to support that. If you don't believe in ghosts, you'll find yourself living in a drafty, creaky old house. This ability to cram reality into boxes that support our beliefs is well documented and proven by scientific testing. In Zen, a lot of time is spent trying to get people to put aside their beliefs and just experience without insisting we must be able to assign meaning to everything. "Don't know" mind. Sky is blue, grass is green. Will it rain tomorrow? Don't know. Maybe. We'll find out tomorrow. Have some tea. In light of non-separation, would we not be kind of carnations of each other? Maybe someone forgot to empty their cup and some of our old personalities stayed. Not always @Earthninja - the cases Ian Stevenson researched were very ordinary, everyday people. Actually, does anyone know of any research completed as thorough as what Ian Stevenson did to show the non-existence of reincarnation / rebirth? There are a couple of accounts in The Tibetan Book of Living & Dying. You can't prove a negative. Reincarnation might exist but nobody remembers their past lives. How do you disprove that? A few researchers did go back and examine and re-question some of the more interesting cases in Ian's books, and found a lot of confirmation bias and details left out. It used to be somewhere on the internet. @sova ....Thank you for posting. I agree with the points....however...I'm not sure that's reincarnation, per se. the circumstances and meaning of 'sheer coincidence' are too large for me to get into....hahaha...unknown, unanswered..touche. Arisen/obtained in the world....connects to reincarnation, how? Finally...contemplation....yes. No arguments from me there. Is the contemplation part linked to the Tathagata that now resides in another body/form? As Buddhists, is it skillful or unskillful for us to be so interested in such things? It is impossible to come to a definite conclusion. At best one can say it is most probably the same. Even so such a belief will reconfirm the "Eternalist view" of those who already subscribe to such a view and prevent them from ever understanding the Noble Truth preached by the Buddha. Hi @Gayan ....nice to meet you. I agree that it can go round and round if people don't stick to the topic....but we're pretty good at kicking the can around from time to time, and frankly, @sova is NB family by now...but I rarely get to conversate with him to get to know him...so...it's all good. It is impossible to come to a definite conclusion. Nobody says discussion has to result in one, every time. .....Even so such a belief will reconfirm the "Eternalist view" of those who already subscribe to such a view and prevent them from ever understanding the Noble Truth preached by the Buddha. It is understandable that discussion is stimulated regarding his teachings, and that he distinction between rebirth and reincarnation is noted. This IS, after all, a discussion forum. Naturally, there will be interest. Do you find such discussion and interest, a problem for yourself, @Gayan? @Cinorjer said:. In Zen, a lot of time is spent trying to get people to put aside their beliefs and just experience without insisting we must be able to assign meaning to everything. "Don't know" mind. That's a good approach, but disbelief is also a belief. "Don't know" mind isn't the same as "sceptical mind". @federica said: The Buddha taught rebirth. LOL! Let me guess. You also say Atheism is a religion? "Don't know" isn't disbelief, and it's not belief. I'm not saying that it's not going to rain tomorrow. I'm not saying it's going to rain tomorrow. I'm saying belief is irrelevant. We'll find out tomorrow. I said that "don't know mind" isn't the same as "sceptical mind". Are you agreeing or disagreeing? 'Don't know Mind', questions and is curious. 'Sceptical Mind', doesn't always research, but seriously doubts. To me, "Don't know mind" is like saying I only know what I know in my dream. IMO, Keeping a Don't know mind relates to realizing emptiness. I think keeping the mind in perspective, so to speak, is imperative to liberation from the mind. Belief is not knowledge. In fact, the Tibetan language has two different words for the English concept of "know". One word means "I know because someone told me or I heard about it." The other words means "I know because I have experienced it for myself, firsthand." This second meaning refers to Truth. You can believe in reincarnation (a Hindu concept), or in rebirth (a Buddhist concept) all you want. But belief doesn't make it so. This is why Buddha told us to not blindly believe. In fact, belief comes from our fear of uncertainty. We want to Belief something because it makes us feel more secure. Buddhism takes us out of that, and into learning how to open up to our fear ... and then RELAX into it. We do not have to try to hide our fear with Belief. We accept and relax with the fact that life is basically uncertain, impermanent, and that some things are not knowable .. and it is okay. As for issues of rebirth .... the only reality we have is what is happening right now. And the only enlightenment we can find is in being present right now. @Gui said: Keeping a Don't know mind relates to realizing emptiness. My understanding (ironic, at that) is that the mind cannot know reality. What we know is completely of the mind. What we, along with the mind, experience is reality. But what we know is empty. What I've done from my conclusion, whether it is "Buddhist" or not, is separate my thoughts, emotions, knowledge, memories from reality. All things of the mind are the same. This is what I call keeping a don't know mind that I first heard from Sueng Sahn (sp?). And I am not concerned if I have completely misunderstood what he was talking about . @Gui said:> @SpinyNorman,> What I've done from my conclusion, whether it is "Buddhist" or not, is separate my thoughts, emotions, knowledge, memories from reality. You mean you are mindful of mental objects? @SpinyNorman That seems right. But not completely it. Neither, because I don't have enough information on why you consider them different. I am by nature a skeptic but found that wasn't enough. I suppose for me the difference is, as a skeptic I struggled with the questions and issues and worried about how people failed to use logic and knowledge in forming beliefs. "Don't know" mind considers those questions and issues unimportant as I focus on what I'm doing right now. To continue my rather lame example, if I say that I'm certain it's going to rain tomorrow because my knee is hurting again, a skeptic can look at the weather reports and argue that there is only a 50 percent chance and lots of reasons my knee could be hurting me, so no you can't be certain. A "don't know" mind will say sorry your knee is hurting, so why don't you prop your leg up here and would you like a couple of aspirin? let's say rebirth and reincarnation are true and do occur, how does this effect my practice? Should it effect my practice? Is meditation and following the 5 precepts a matter of achieving "higher" or "better" rebirth? now let's say rebirth and reincarnation are not true and do not occur, how does this effect my practice? Should it effect my practice? Is meditation and following the 5 precepts a matter of living better in this life? As with most things Buddhist, I suspect there are no "yes" or "no" answers, but I'm curious if the issue of rebirth is one that should have an influence on my practice. @racerska My opinion is that it doesn't make a bit of difference. Buddhism doesn't have a "creed" or set of beliefs you must recite and take to heart in order to join the club. But, I have to direct you to a group of people who do have a problem with lack of belief in reincarnation, since that's tied to a literal view of karma and authoritarian views of what the Sutras claim Buddha said and taught. Buddhism without beliefs, or Skeptical Buddhism as it's sometimes called, has a popular voice in Stephen Batchelor since he wrote a popular book on the subject and entered into some debates. Do a quick google and you'll find people upset at the thought that literal past life karma, reincarnation, and such beliefs can possibly be removed from Buddhism without it losing its purpose. The bolded bit is the fundamental focus for any question you might ask. Sometimes, the answer is "Yes, my Practice does benefit from receiving an answer, the question IS relevant, and DOES matter." Sometimes the answer is "Yes, my practice could benefit from receiving an answer, the question MAY be relevant, and COULD matter." Sometimes the answer is "Well, my Practice would neither benefit nor lose from receiving an answer, the question is not really relevant, and probably does not matter." Sometimes the answer is "No, my Practice does NOT benefit from receiving an answer, the question is NOT relevant, and does NOT matter." @racerska said: As with most things Buddhist, I suspect there are no "yes" or "no" answers, but I'm curious if the issue of rebirth is one that should have an influence on my practice. These questions aren't all that relevant to my daily practice. These days I'm agnostic and I allow for possibilities, so it's "don't know" mind really. I've found from experience that there is something limiting and closed about the sceptical mind with it's relentless rationality and it's obsessive need to reject. It also tends to suppress the imaginative facility, which leads to a sort of sterile rationality, all head and no heart. You will find different attitudes in different Buddhist schools, and in part this depends on how they view enlightenment. In some traditions enlightenment is viewed as something very accessible which can be easily attained during the course of a single lifetime. In other traditions enlightenment is viewed as something much more refined and difficult to attain, a process which is said to take many lifetimes. In any case, as far as I know Secular Buddhism is the only Buddhist school which actually rejects the teachings on rebirth. The OP is about reincarnation....not rebirth. Reincarnation is more of a Hindu belief. My question still stands....how does no self/no soul transfer to another body? 'The word "Samsara" means literally "continuing on", "wandering on". It signifies the repetitive cycle of birth, ageing, death and rebirth. Now though Buddhism and Hinduism share the concept of rebirth, the Buddhist concept differs in details from the Hindu doctrine. The doctrine of rebirth as understood in Hinduism involves a permanent soul, a conscious entity which transmigrates from one body to another. The soul inhabits a given body and at death, the soul casts that body off and goes on to assume another body. The famous Hindu classic, the Bhagavad Gita, compares this to a man who might take off one suit of clothing and put on another. The man remains the same but the suits of clothing are different. In the same way the soul remains the same but the psycho-physical organism it takes up differs from life to life. The concept of rebirth without a transmigrating soul commonly raises the question: How can we speak of ourselves as having lived past lives if there is no soul, no single life going through these many lives? To answer this we have to understand the nature of individual identity in a single lifetime. The Buddha explains that what we really are is a functionally unified combination of five aggregates. The five aggregates fall into two groups. First there is a material process, which is a current of material energy. Then there is a mental process, a current of mental happenings. Both these currents consist of factors that are subject to momentary arising and passing away. The mind is a series of mental acts made up of feelings, perceptions, mental formations and consciousnes. These mental acts are called in Pali "cittas". Each citta arises, breaks up and passes away. When it breaks up it does not leave any traces behind. It does not have any core or inner essence that remains. But as soon as the citta breaks up, immediately afterwards there arises another citta. Thus we find the mind as a succession of cittas, or series of momentary acts of consciousness. Now when each citta falls away it transmits to its successor whatever impression has been recorded on itself, whatever experience it has undergone. Its perceptions, emotions and volitional force are passed on to the next citta, and thus all experiences we undergo leave their imprint on the onward flow of consciousness, on the "cittasantana", the continuum of mind. This transmission of influence, this causal continuity, gives us our continued identity. We remain the same person through the whole lifetime because of this continuity. Yes, to put it simply Buddhist rebirth is reincarnation without an atman ( soul ).